Founded in 2005, SBPL is proud of holding the largest variety of bullions and coins across India. Our commitment to excellence in customer service is evident in all facets of our business. SBPL's success is based on customer trust and respect backed by our highly valued staff and best quality products with most modern trading mechanisms. SBPL dedication to continuous improvements enables us to meet the exacting requirements of our customers. This bond of trust has helped SBPL attain significant feats. 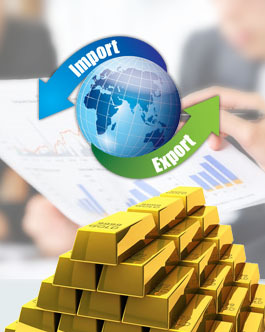 SBPL being a leading importer of precious metals offers you it's products at best prices ,SBPL Directors have the experience of 15 years in BULLION TRADING AND FUNDING.SBPL can guide it's customers when it is safe to invest in the commodities,we provide us with the best consultancy services regarding investment in precious metals. Go For Physical GOLD !!! No other investment has the wealth preserving power of gold ! Physical (allocated) gold is the most secure way to invest in gold. Gold maintains its value through political and social upheavals, wars, and natural disasters.